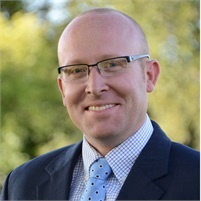 Matt Wilcox attended Iowa State University and earned a Bachelor's Degree in Business Management in 2005. He has a background in the mortgage industry, and made the transition into this area of Financial Services in 2010 as an independent agent. 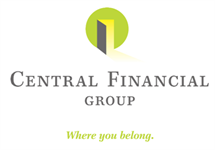 He joined Central Financial Group in 2012. Matt specializes in investments, retirement planning, and estate and business succession planning strategies. I pride myself in understanding that everyone's life and economic situation is unique and keep that in mind when providing financial advice. My goal is to treat each of my clients like they are my own family. I believe that personalized service is essential when matching clients with the right products and services. Whether you are coming up with a new financial plan, or making adjustments to update an existing plan with your current life needs, I am here to mold a plan for you. I am originally from Fort Madison, Iowa, and currently reside in Norwalk, IA with my wife and three children. In my spare time I enjoy spending time with family and friends or participating in any outdoor activity. I also enjoy playing numerous sports in addition to hunting and fishing. *Individual is not affiliated with Royal Alliance. We are licensed to sell Securities in the following states: AK, AL, AR, AZ, CA, CO, DE, FL, GA, IA, IL, IN, KS, KY, MA, MD, MI, MN, MO, MS, MT, NC, ND, NE, NH, NV, NY, OK, OR, PA, SD, TN, TX, UT , VA, VT, WA, WI, WY. We are licensed to sell Insurance Products in the following states: AL, AR, AZ, CA, FL, GA, HI, IL, KS, KY, MD, MI, MN, MO, MS, MT, NC, NE, NJ, NM, OH, SC, SD, TN, TX, VA, WI.